Nine variable stars to add to the total for this month. 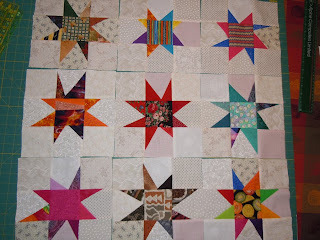 I’ve made smaller 6″ blocks, I called them wonky stars for a baby quilt a few years back which went to the hospital to a babe in the Neonatal ICU. They made up into a nice baby quilt. 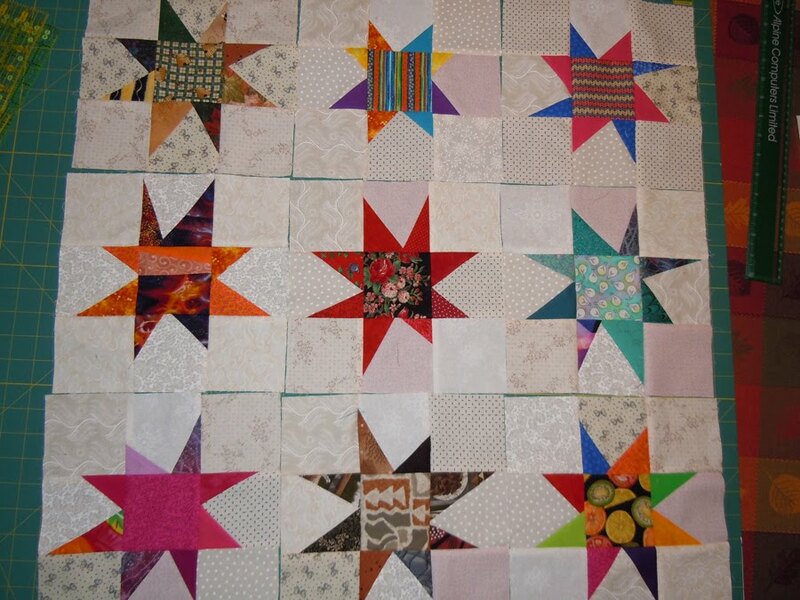 I think I had more trouble getting the points to cover the squares when I flipped the fabric this time. It’s something I need to work on to make it easier to make the stars because they do turn into interesting stars.